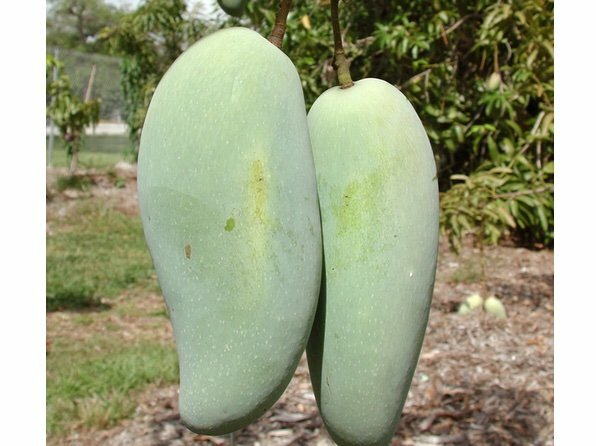 &QUOT;BRAHM KAI MEU&QUOT; IS A THAI SELECTION REVERED FOR ITS EXCELLENT FLAVOR WHILE GREEN AND UNRIPE. IT IS BEST EATEN BEFORE ANY COLOR CHANGE OCCURS. AT THIS STATE IT WILL BE SWEET AND CRUNCHY AS AN APPLE. THE TREE IS AN EXTREMELY PROLIFIC PRODUCER AND GROWS WITH MODERATE VIGOR. THE FRUIT RIPENS FROM JUNE TO JULY.